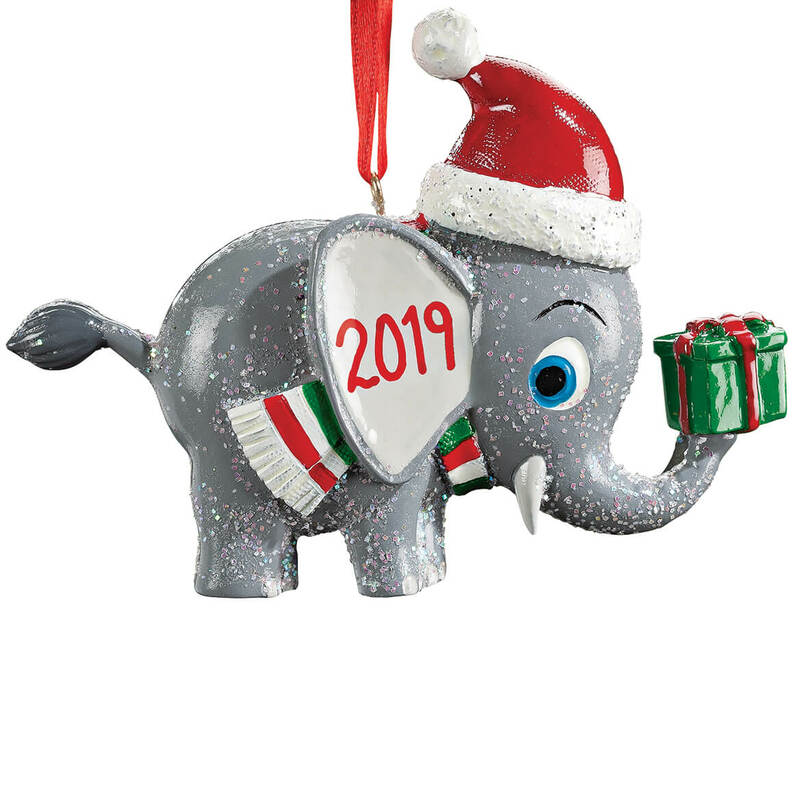 I have a friend named Sue who collects elephants so I wanted this elephant ornament with her name on it. Daughter loves elephants and we get the kids an ornament every year! My granddauughter loves elephants & she has her own place now for her own Christmas tree. One elephant is for me and the other is for one of my sorority sisters - Delta Sigma Theta Sorority, Inc.
My daughter collects Elephants and this one was so cute! Will this have the year 2018 on it? Yes, it will come personalized with the year in which you purchased it. you have to "personalize" it. click on the drop down "select".